Wednesday 6/22: Red-bellied Tiger Beetle at Prospect Hill along with a Red-breasted Nuthatch. Thursday 6/23: Nothing exciting in Lincoln. Friday 6/24: Rough-winged Swallows and a Redstart at Lot 1 plus FOY Black Saddlebags. Saturday 6/25: Wandered down to Fairhaven for the Clapper Rail(s) that have been reported regularly. One was calling for pretty much the entire hour and a half I was there, but never got a view. Pretty birdy otherwise, nothing too exciting. 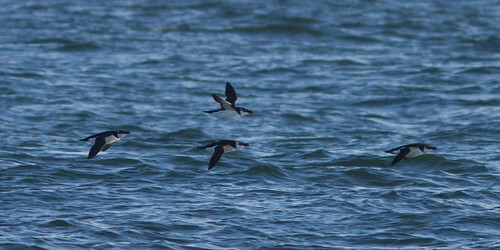 Continued to West Island, which padded out the Bristol county list a bit, highlighted by a pair of Oystercatchers. Started for Freetown State Forest but decided on Myles Standish instead. Bad move, some sort of bike ride going on and I didn’t want to stop along the road (ponds were way low too, would have been tough to access many). Stopped at the river walk briefly, BC Night-Heron below the waterfall but no Blue-fronted Dancers or anything else of note. Sunday 6/26: Started with the Little Blue Heron at Knox Trail (first adult in the county in years(?)). On to Hugh Cargill, which had a few Bog Coppers but no Elfin Skimmers. Cranberry Bog had the usual, first meadowhawks, amberwings, and Skimming Bluets of the year but no Lilypad Clubtails. Continued to Horn Pond where the kestrels were showing off but not much else. Monday 6/27: Took a chance on another Little Blue reported in Lexington. 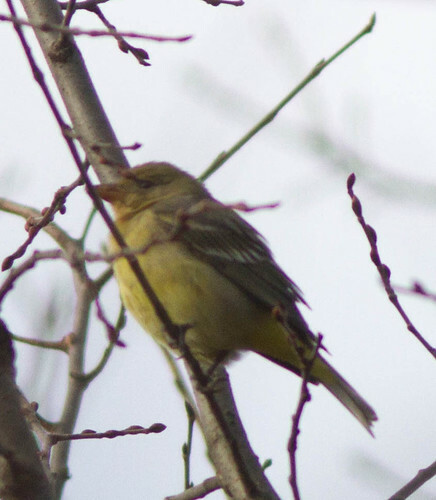 No luck (and likely wasn’t), but first time at Parker Meadow. Looked good for butterflies at least. Tuesday 6/28: Tower at Great Meadows was fairly quiet. Makes up for not driving to Race Point. Catching up a bit. 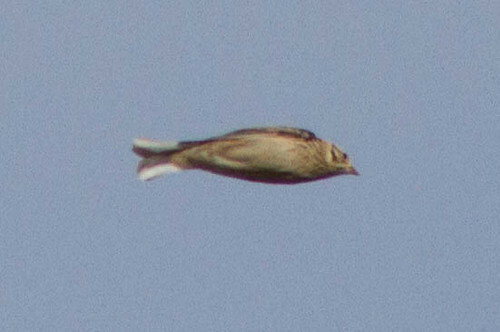 Was hoping for 372/556 back on the 31st with the Smith’s Longspur at Bear Creek, but no bird found. Nice Short-eared and Kestrel made it worth the effort at least. With the afternoon free and halfway to the north shore, I zipped up to Gloucester. Awful sun or big crowds had me moving to Andrew’s fairly quickly. After a few minutes at the end of the driveway, I moved to the end of the road. 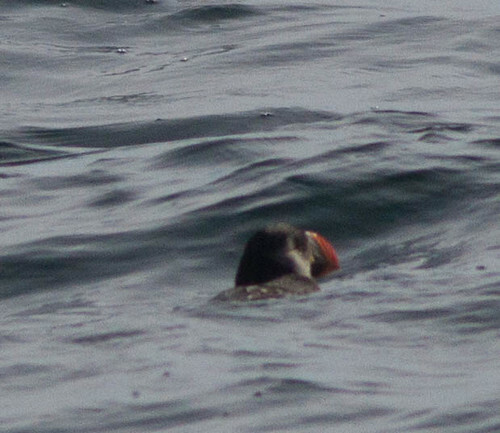 A couple other birders were there and I overheard some muttering about puffin. 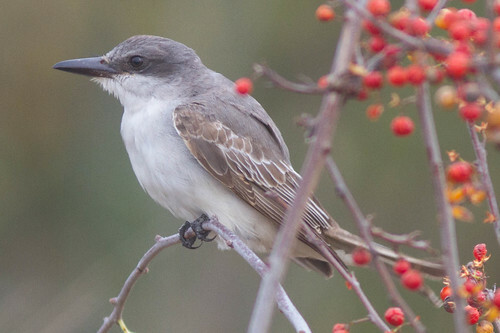 A few minutes later, there was a gray-faced alcid with a bright looking bill in my scope. A bit far, took a little while to feel totally confident after the fact, but state #372. Other than one brief look a couple minutes later, it disappeared. 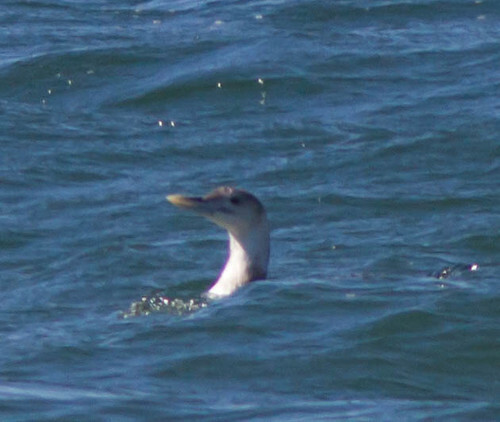 Fortunately, the Common Murre in close at the other side was nice for all. 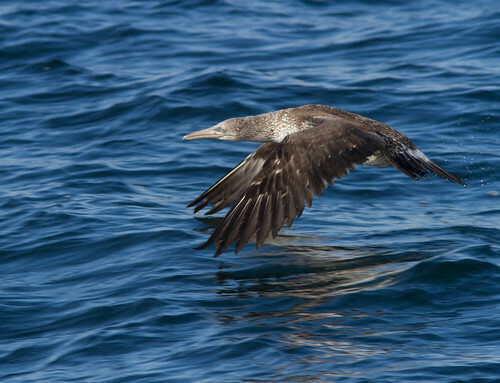 The following weekend was the first BBC winter pelagic. I got talked into signing up midweek and even with storms on either side, the weekend was good. The trip ran Sunday to let the seas die down and the roads to clear. Prebright and early, I drove down. After a bit of a late start (get better Ida! 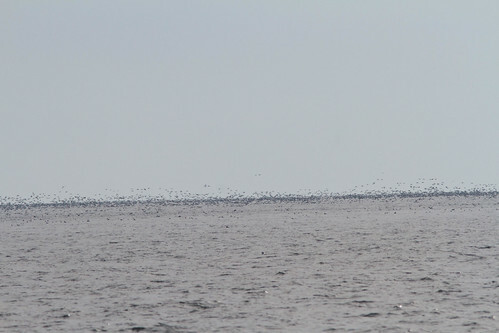 ), we headed out on totally flat seas. 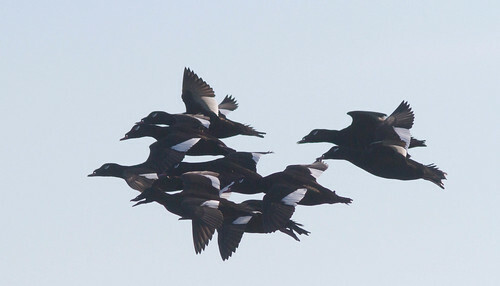 It didn’t take long for lots of scoters, Long-tailed Ducks, and kittiwakes to be seen. 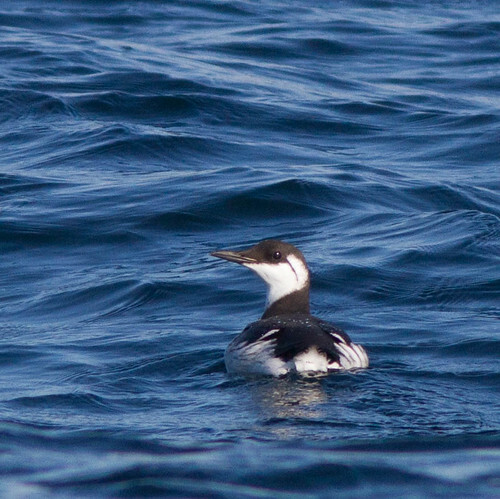 We got further out and a few Common Murres appeared, a couple came close enough for good photos. 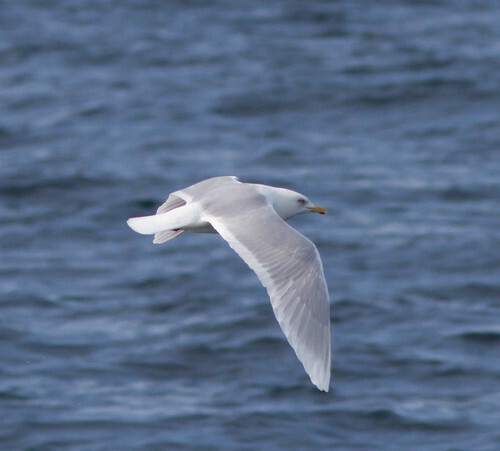 We passed a trawler and got a good number of gulls including Iceland and Lesser Black-backed. 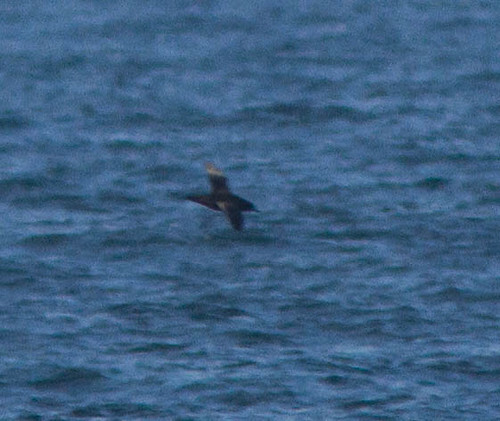 Sometime around this, what was technically bird of the day flew by: Sooty Shearwater. Distant views, but very good for the season. 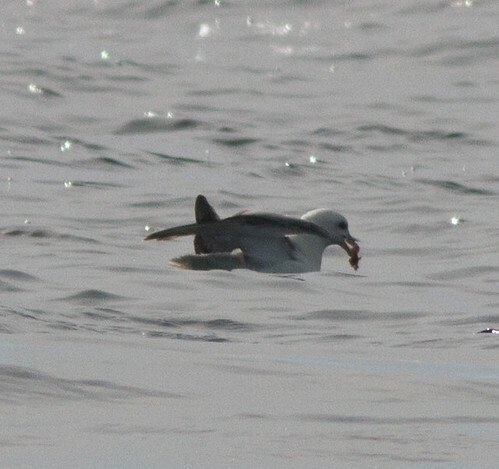 As we were ready to head back, a shout of Fulmar went up. It took almost 15 minutes to chase down, but eventually we got excellent views (and apparently a second bird buzzed through as well). 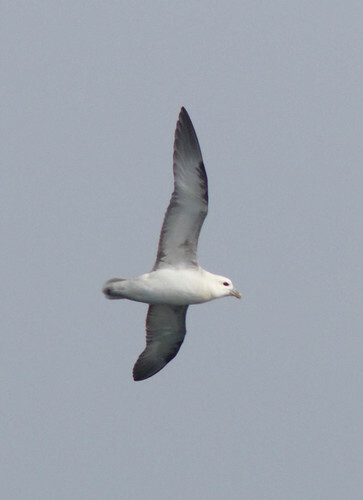 My target for the trip, and about the most overdue bird I had in the northeast (12th tubenose in state, after Barolo Shearwater, Black-capped Petrel, and a dozen White-faced Storm-Petrels among others). 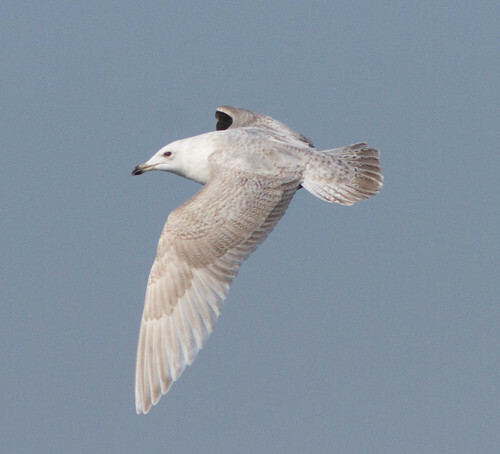 We also had an interesting Iceland Gull around here, still debating a nominate. 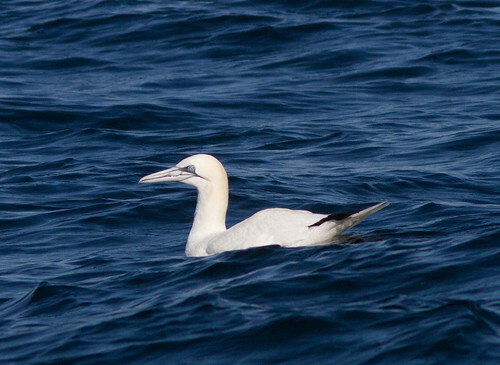 On the way back, we made another stop for a puffin (poor views earlier), which helped me feel confident about the Andrews bird. 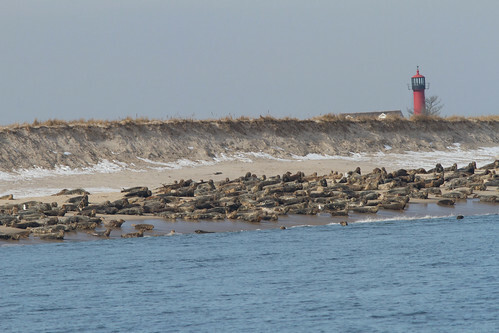 Back to shore, we stopped off Monomoy for a few minutes to take in the huge flocks of ducks (mostly eider) and the seals on the beach. And back to the dock in time to drive home in the light. Great day. 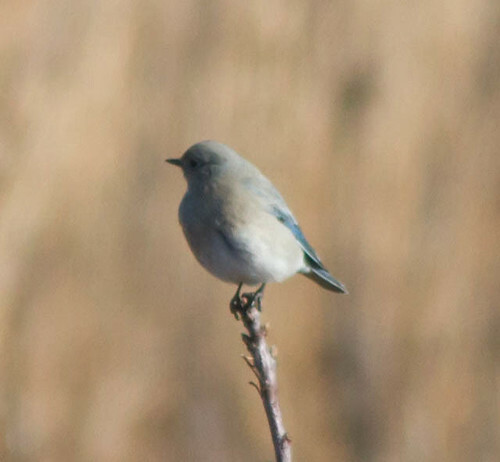 I decided to go back for the Mountain Bluebird Saturday. 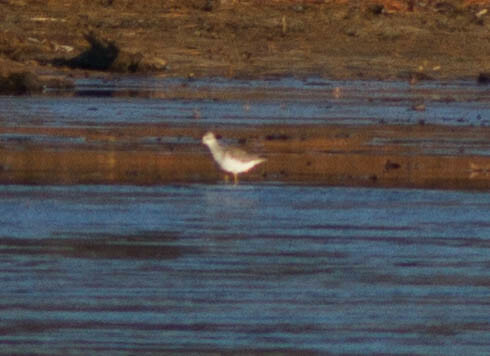 Took the long way, with a stop in Hopkinton for what is likely the first Lesser Yellowlegs in New England away from the coast in January. Reached Crane, found it almost as windy. 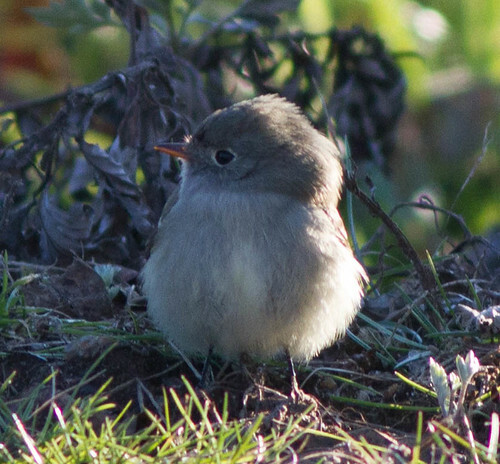 Walked out this time and the bird was in the juniper as expected. Got decent scope views thanks to John and Audrey and Bobbie before it flew over our heads. I wandered back after it, but a photographer leaving said it was returning to the juniper every 20 minutes or so, so I went back and waited. Close to 45 minutes later, I gave up and went back to the car. The bird promptly dropped into the depression by the parking lot. At this point, I debated going out towards Race Point, but decided that Plymouth to Quincy sounded better. First stop Scusset Beach. Parked, pulled out phone, checked email, read Hammond’s Flycatcher Fairhaven, turned car back on. Forty five minutes or so later, I had distant views. The bird dropped out of sight and an hour and a half later I decided to head for lunch. Came back, and it popped up and came in much closer, giving the views I wanted for a lifer. 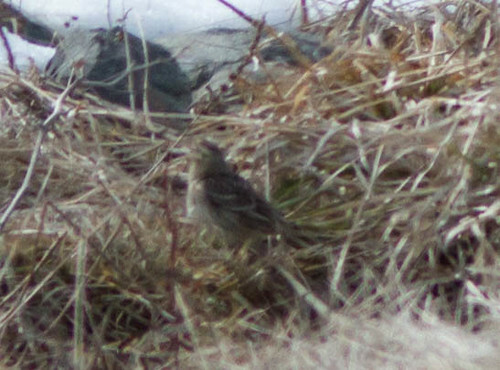 Continued to Fort Phoenix, picking up one of the Barrow’s (probably had the second but it was too windy for the scope). Wednesday 11/18: Race Point at dawn had tons of birds including Parasitic and Pomarine Jaegers, another(?) 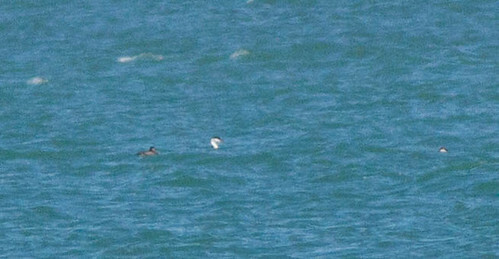 Little Gull, and an overdue Common Murre. Pilgrim Heights was birdy but nothing terribly exciting. Checked a couple ponds without anything of note and then ran into too many hunters, so headed to Burrage WMA to try for the Townsend’s Solitaire. Not sure I ever found the right spot and not much around (other than meadowhawks). Raven at the Whitman/Brockton line on the way home was nice. 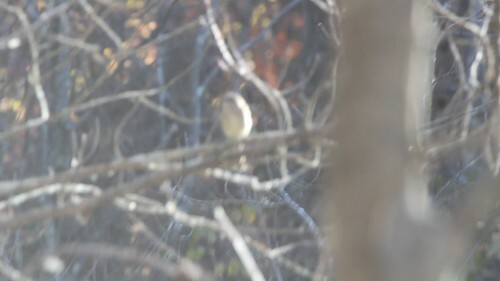 Thursday 11/19: BBN loop was fairly quiet, 2 Fox Sparrows were the main excitement. 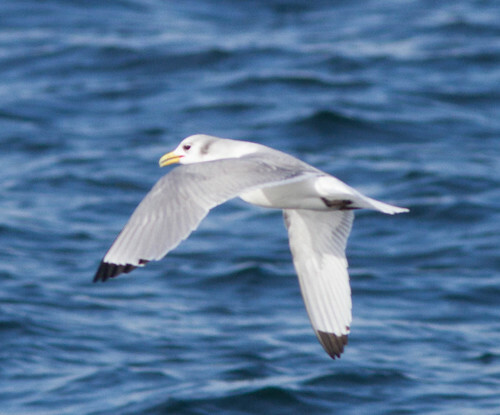 A few Ring-billed Gulls were actually a year bird for the patch. 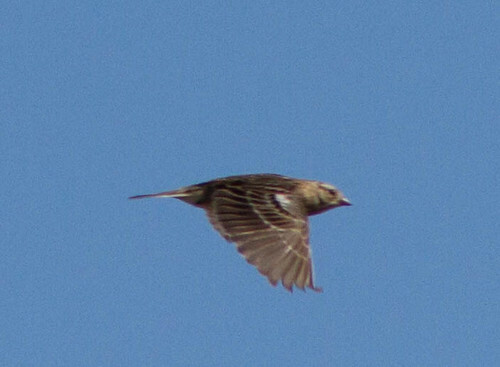 Friday 11/20: Great Meadows was quiet other than about 100 Herring Gulls moving through. 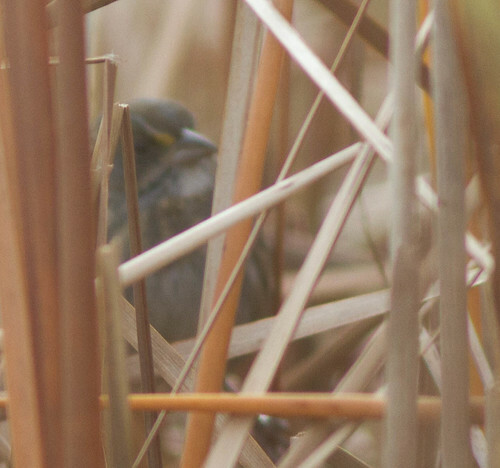 Caught up with one of the Fox Sparrows on the way out, which was new for me there. 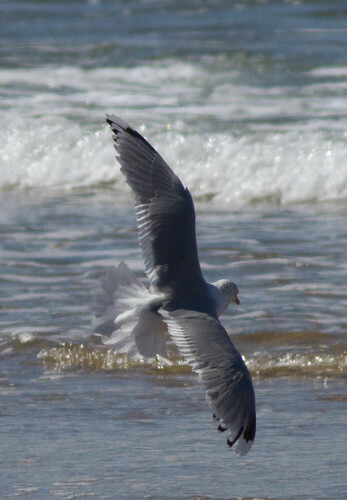 School St had geese, crows, and common gulls. Nothing worth noting in a quick scan of the res. 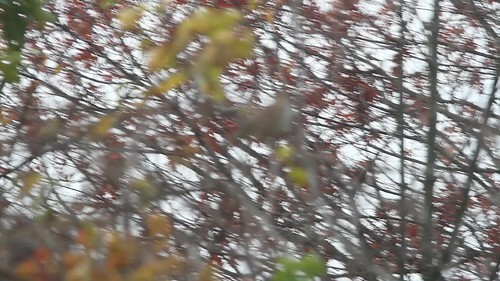 Saturday 11/21: Looped both parts of Waltham St and Dunback without anything beyond a cowbird and a few waxwings. 350ish Ring-necks on the res along with a few goldeneye and an eagle down by the gate. Sunday 11/22: Nothing exciting at the res or Flint’s. One Redhead was still on the Mystic. Nothing at Sandy Beach, the Mystic Lakes, or Spy Pond. Monday 11/23: A few Bufflehead and Ring-necks but little else at Purgatory and Forest Grove. Tuesday 11/24: Nothing interesting at the res or Flint’s. Started for Heard but decided Nine Acre instead. Hopefully a good choice as 3 Cackling Geese were in the field at Willow Guzzle (fairly certain they are the ones from School St last month).